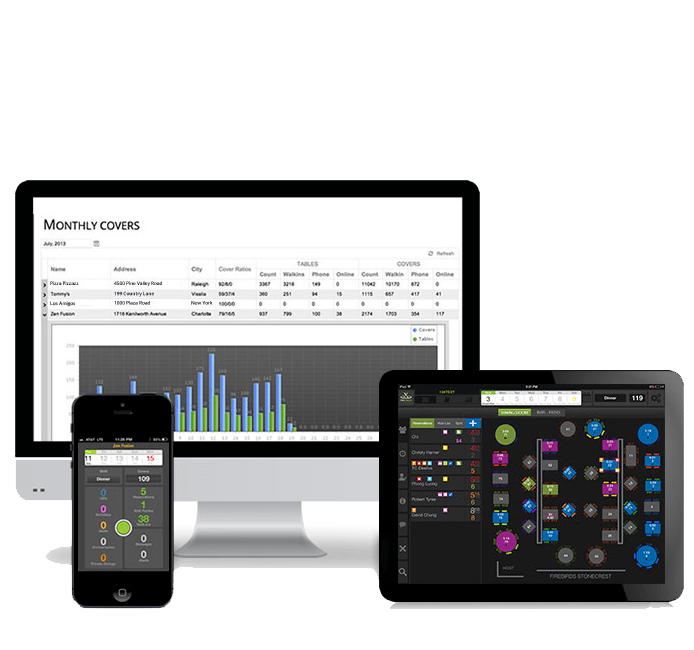 KEEP YOUR RESTAURANT RUNNING EFFICENTLY. 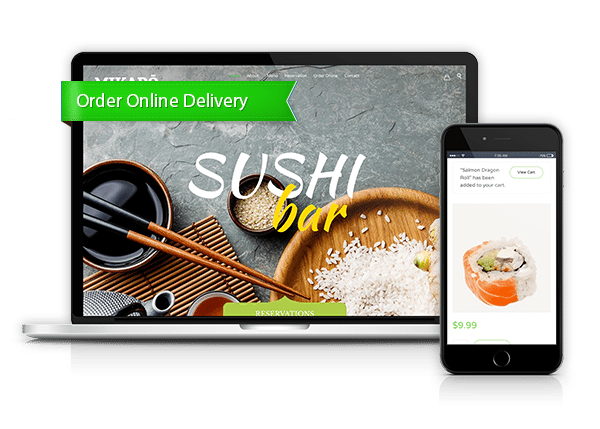 Your Website will look Amazing on All Devices! We Provide more than just a website. 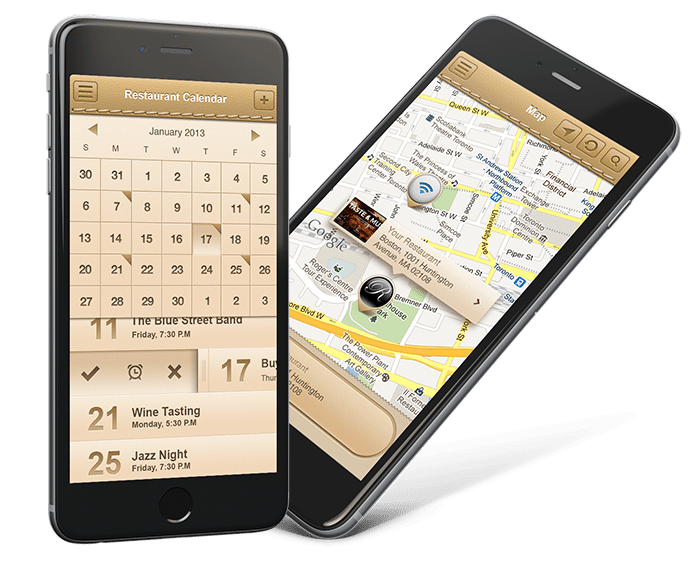 We have developed a variety of tools to keep your restaurant running successfully. Our reservation system will allow customers to book a reservation from any device. As soon as a reservation is booked, you will receive an instant notification. We can also integrate your existing reservation system (Open Table) directly into your website. 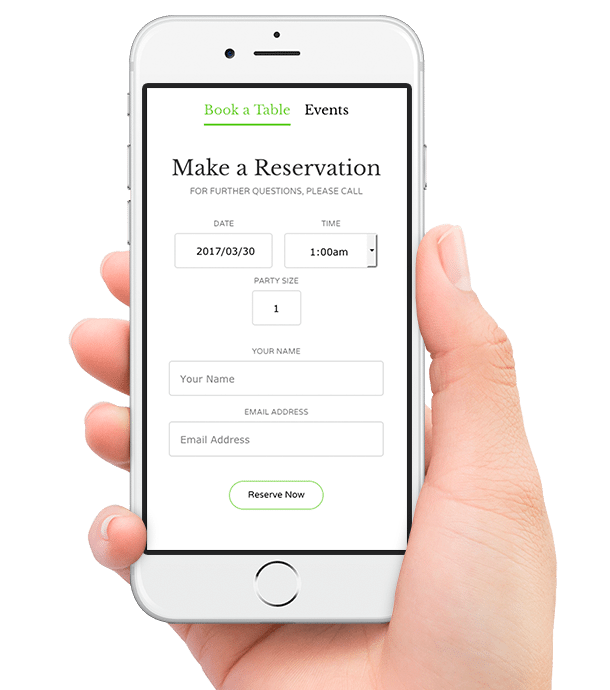 Web design butlers partnered with Nextable to offer an advanced reservation system. Keep your customers coming back. Our advanced event calendar allows you to easily add events on the fly. Some of the features include: Event booking, reoccurring events, social media sharing, Google maps integration, reminders and more. Our advanced but easy to use menu editor allows you to add, update or remove menu items in seconds. 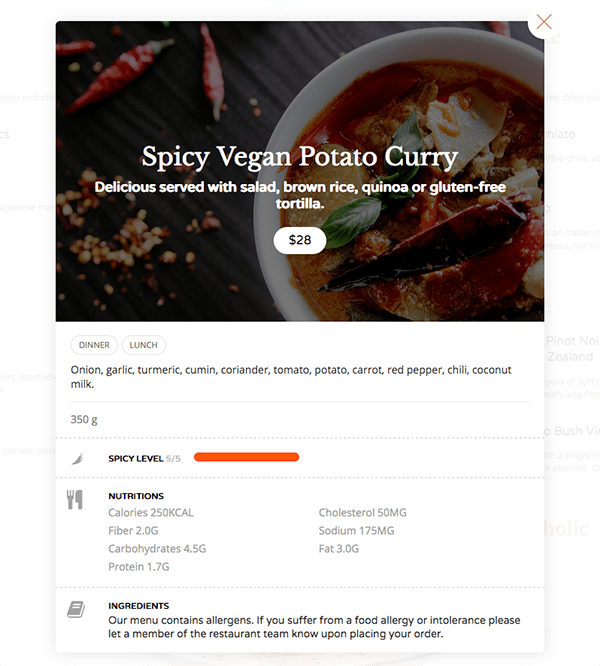 You will have the ability to add simple menu items as well as detailed information about each dish. Logo design services and style guide creation. We realize menu items and prices change on a regular basis. 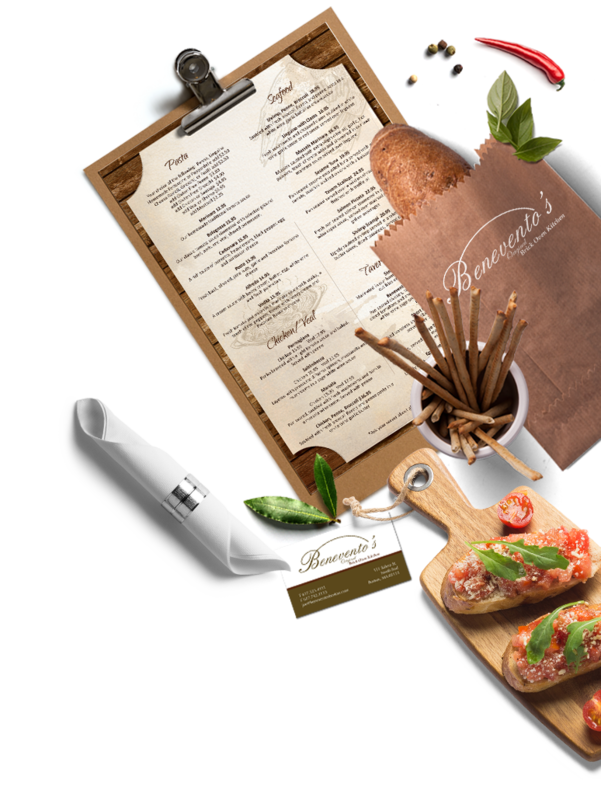 Web Design Butlers provide an easy to use menu editor that allows you to add or remove menu items, make changes to existing menu items and add specials. We also realize that you may not have time to make changes to your menu. That is why we include 4 hours of menu edits per month at no additional cost. We offer a dynamic photo & video gallery which allows you to upload multiple photos and videos as well as…If you currently do not have any photos or videos, the web design butlers offer professional onsite photo & video services. Reach out to your customers and keep them coming back. We provide tools that will enable you to communicate with your customers. 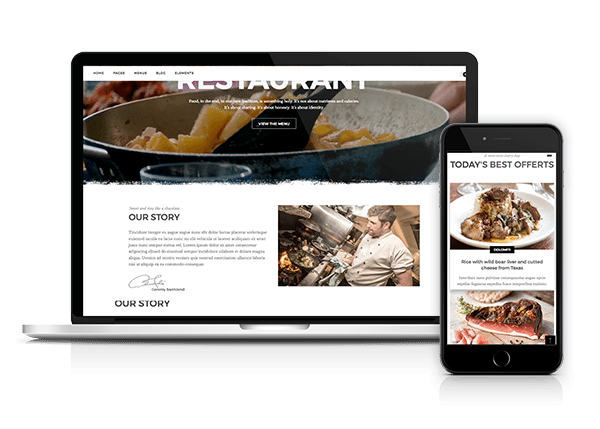 Web design butlers can design a custom e-newsletter that compliments your websites design and allow you to send out promotions, specials, upcoming events and coupons. Users will be able to subscribe to your newsletter directly through your website. Most hosting companies charge between $10 – $50 per month to host your website. At web design butlers, your hosting fees are included at no additional cost. We provide enhanced security features and weekly backups. This is our favorite tool. The event calendar enables you to add a variety of events ranging from live entertainment, wine tastings, corporate events and more. It links directly to your social media accounts, allows event booking, embedded videos, recurring events, plus more. 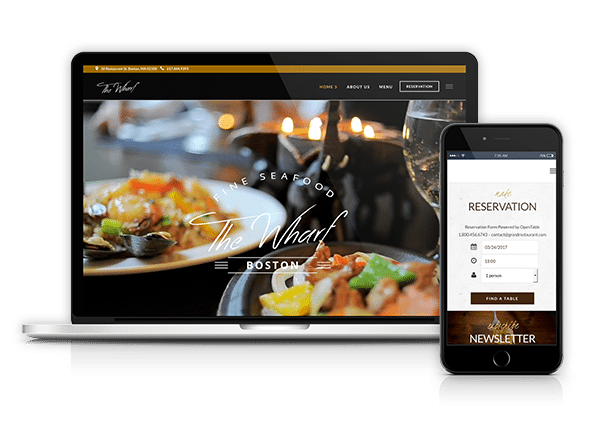 We offer an intuitive reservation system that integrates with your website. 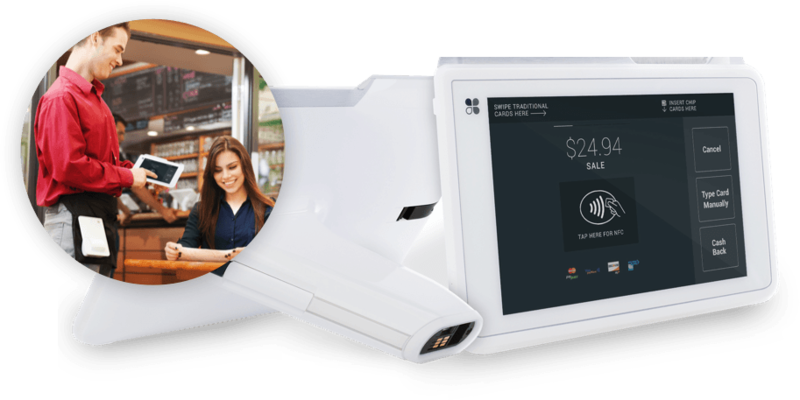 The system works on all devices and sends instant confirmations to both the customer and restaurant owner/staff. 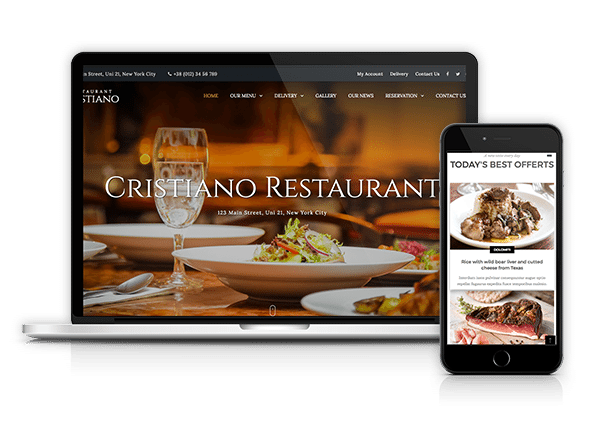 We realize many restaurants use Open Table and we can integrate the code directly into your website as well. What good is a beautiful website if your customers can’t find it?. This is where the web design butlers step in. We offer advanced search engine optimization. The Butler’s exceeded my expectations! I never thought it would be so easy to harness the tools they provided. My website looks fantastic, it is fully integrated with my social media accounts and the event calendar is a breeze. Highly recommended!